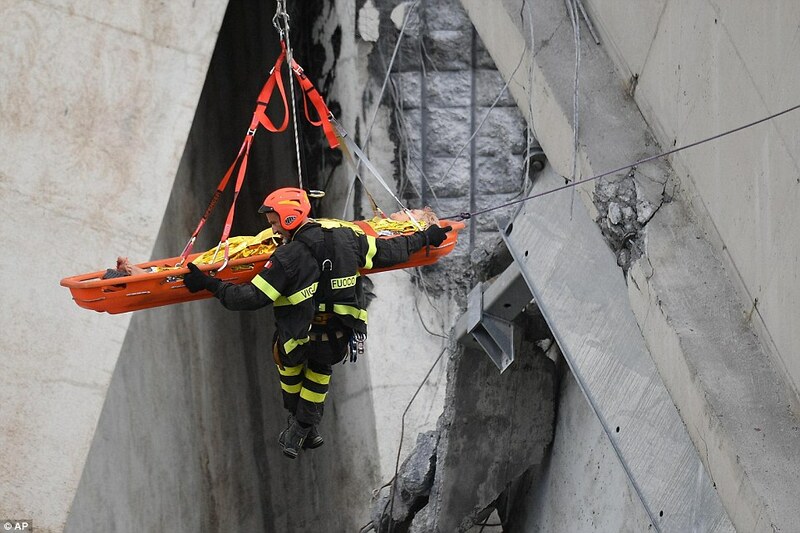 Photos showed firefighters winching survivors strapped into stretchers from among the boulder-sized pieces of concrete, before they were whisked away by emergency helicopters. 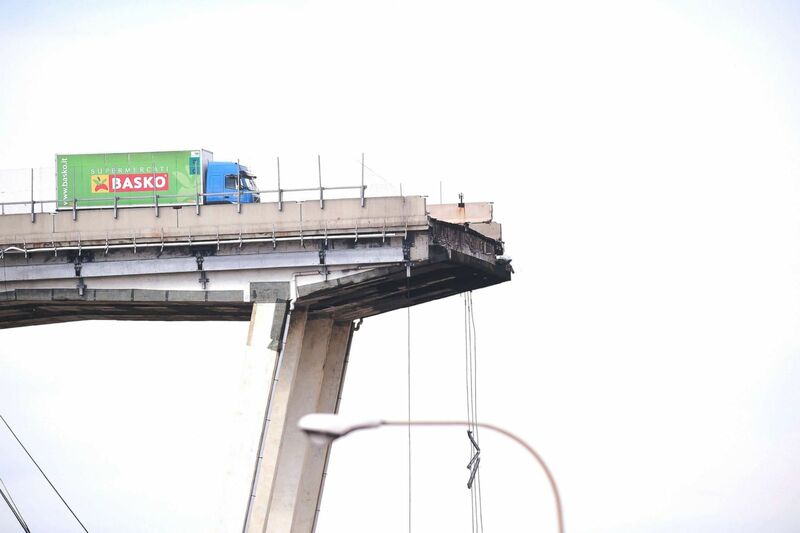 Witnesses said the bridge was hit by lightning seconds before it collapsed and was seen 'wobbling', but engineers rubbished the idea that a bolt from above had anything to do with the disaster. 'It couldn't have been lightning. 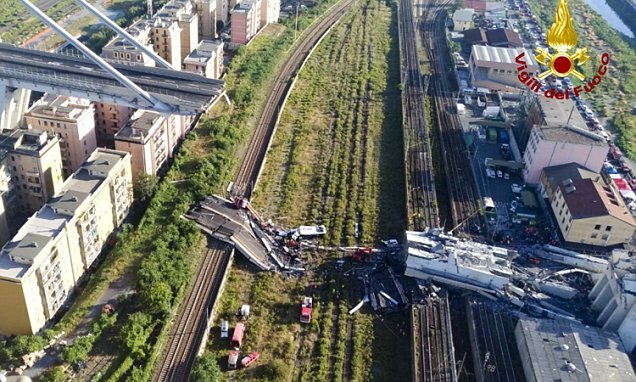 I don't see how that would be possible as it's reinforced concrete and it's certainly never happened before,' Agathoklis Giaralis, deputy director of the University of London's Civil Engineering Structures Research Centre, told MailOnline. 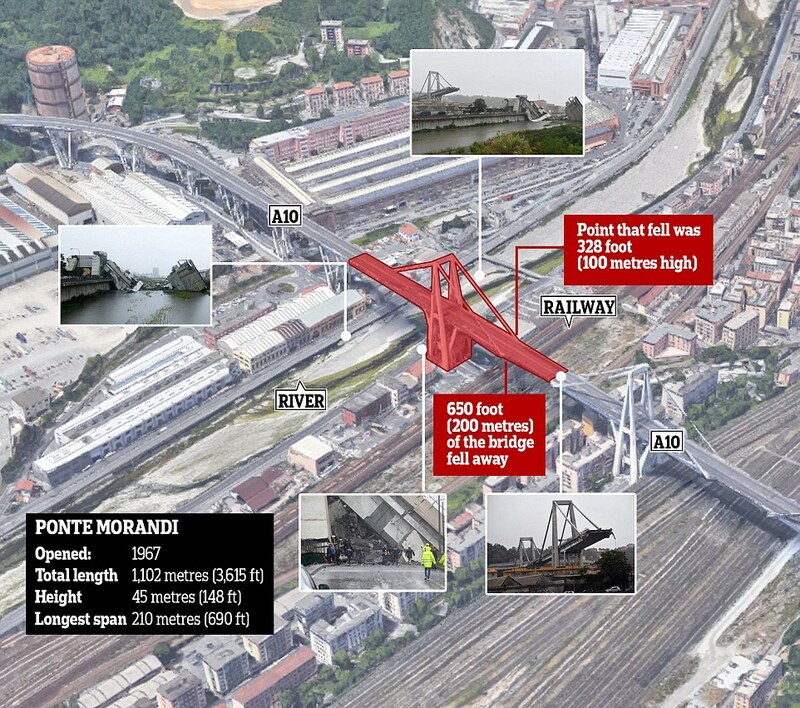 He said the bridge, which was completed in 1967, must have been flawed in its construction, likely in the foundations, or suffered from extensive corrosion in its metallic parts. 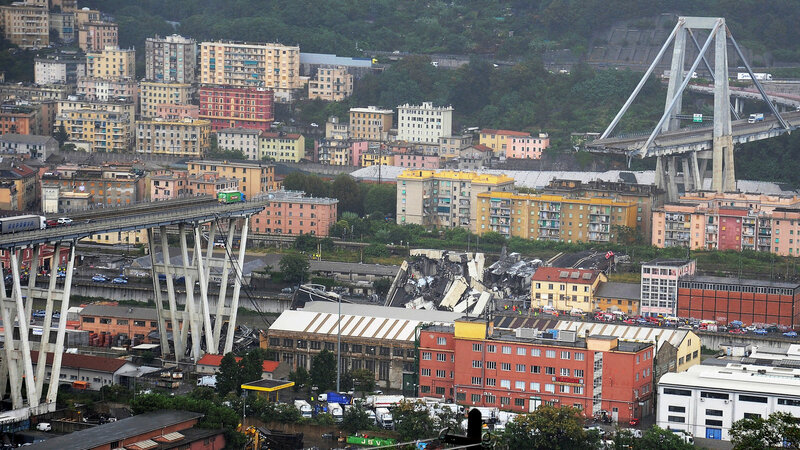 'For such a bridge to collapse it has to be something serious that went unnoticed in maintenance and inspections,' he said.